Ear reconstruction can be as mild as correcting an abnormal folding of the ear to as severe as reconstructing the ear completely. In the case of abnormal folding of the ear the procedure involves recreating the contour of the ear with sutures placed in the back of the ear. In severe cases where the ear is missing the ear can be reconstructed using cartilage from the ribs. As with all surgical procedures, you should discuss all potential risks and benefits with your surgeon. What is ear reconstruction, exactly? The term “ear reconstruction” covers a comprehensive list of surgical procedures that are designed to alter and enhance the appearance of the ears for patients who currently feel that their appearance is being held back by the way their ears look. The procedure can involve making the ears smaller, pinning them back onto the side of the face so that they do not stick out as much as they once did, or any number of smaller modifications to the size, shape, and prominence of the ear. Why would I get an ear reconstruction? Many people feel that their ears are too big, too small, or too “wide” when compared to their face. 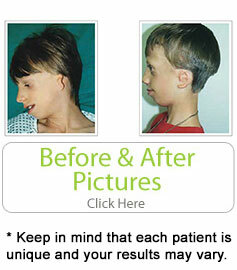 Like any cosmetic surgery, the procedure is designed to help patients achieve their own ideal appearance. Generally, any swelling or post-operation pain will subside anywhere from one to two weeks after the surgery has been completed. Is there an ideal candidate for ear reconstruction surgery? Actually, yes. It certainly is not unheard of for adults to pursue the procedure, but it’s generally recommended that those looking for ear reconstruction be younger. Younger candidates often have the right blend of soft and hardened cartilage, making the procedure easier to pursue and longer-lasting upon completion. Most people who pursue an ear reconstruction surgery will find that it’s actually a really quick way to change their appearance. Most operations are completed within just one hour, while some more extensive work might take up to two hours. Either way, this represents one of the quickest and most immediately noticeable cosmetic surgery options on the market. Should I expect a great deal of pain during or after the surgery? Generally, no. Surgeons will use local anesthesia to eliminate any pain in the are while the surgery is ongoing. Patients will then be given a recommended pain management regimen that will help them fully recover without experiencing severe pain or long-lasting soreness that might otherwise be problematic.